Engage with public health leaders about critical issues facing our nation today. 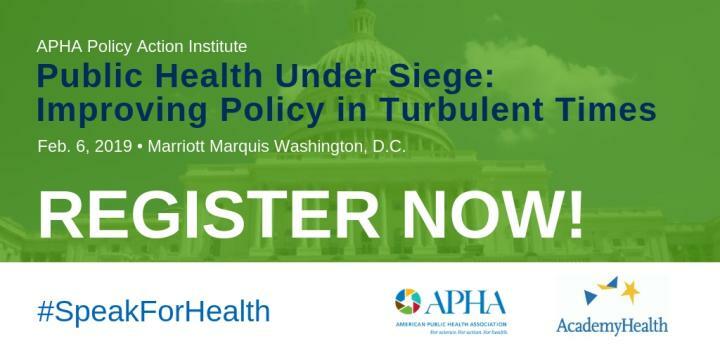 Building on the 2019 AcademyHealth National Health Policy Conference, APHA is organizing this additional day of discussions with a sharp focus on public health policy. Join us to explore such important issues as environmental health, violence prevention, immigrant health and women's health.